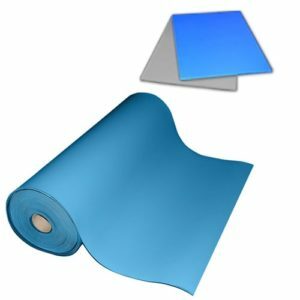 Extremely durable ESD mat kit that resists chemicals, oils, hydrocarbon exposure and temperatures up to 125°C (257°F). 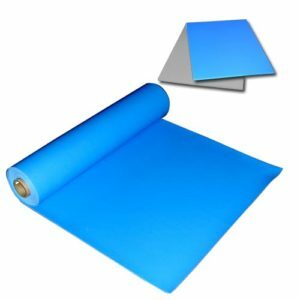 The MT6200 Series is a premium ESD mat kit that protects sensitive processes by quickly and safely dissipating static from the work surface. The die cut mat kits creates an eye-catching appearance with proven ability to last longer than standard mats. 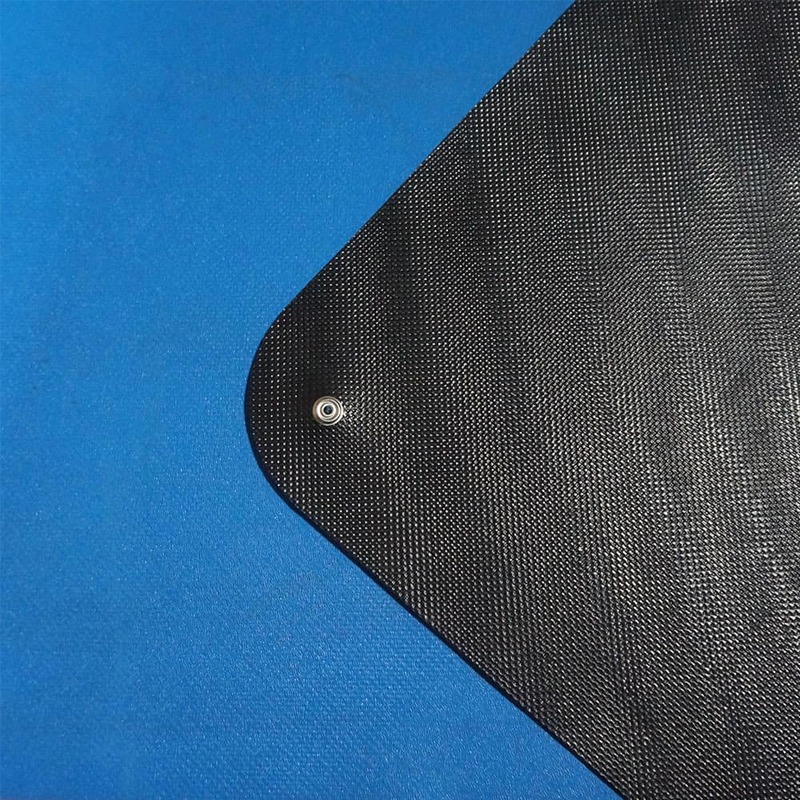 The mats are made with a patent-pending inherently static dissipative elastomer that gives stable and uniform electrical resistance reducing the risk of a static event and greatly extending the life of the mat. 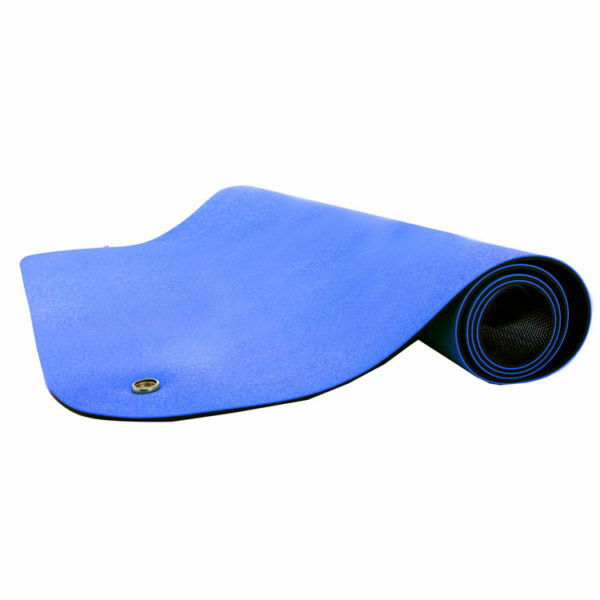 The mats are clearnroom compatible and resistant temperatures up to 125°C. The high strength, durable rubber offers improved chemical, oil, and hydrocarbon resistance over competitive materials and is suitable for temperatures up to 125°C (257°F). 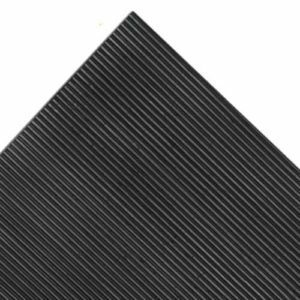 The 6200 series is available in 2×3 or 3×5 radius corner mats that are packaged individually with 10mm snaps and a common point ground cord. The die cut mat kits creates an eye-catching appearance with proven ability to last longer than standard mats. 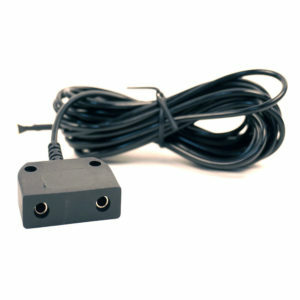 All pre-cut ESD rubber mats come with a grounding hardware: a common point ground cord and 2 grounding snaps. Our low profile common point ground cord has two banana jacks which provide a ground point for two wrist straps. The 6200 series mats are ultra-low outgassing, non-VOC, and non-blooming so it will not contaminate products in clean rooms and other sensitive environments making it cleanroom compatible. 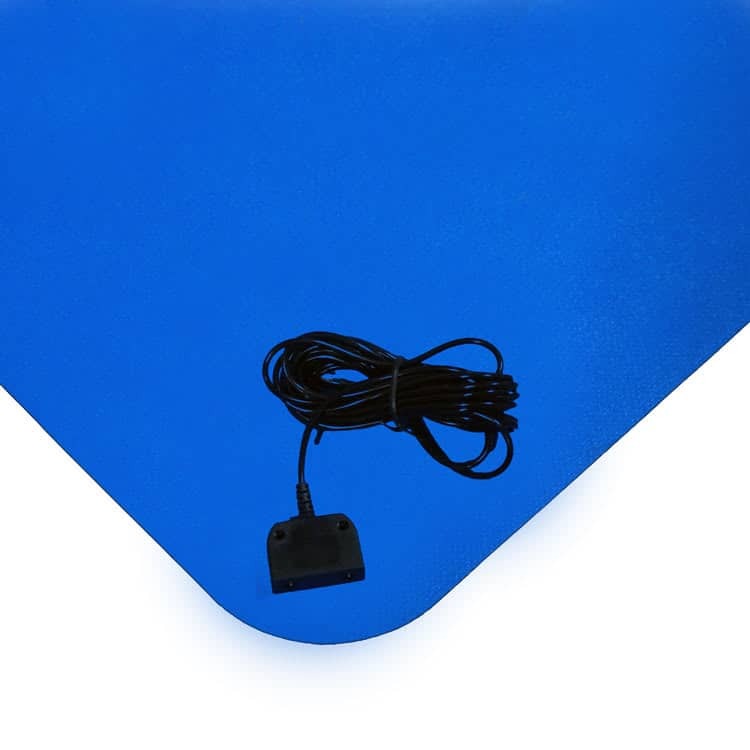 Our ESD rubber table mats are the perfect solution for protecting tables from harsh processes. 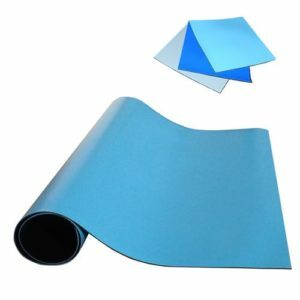 The mats offer excellent resistance to hot solders, soldering irons and most solvents. 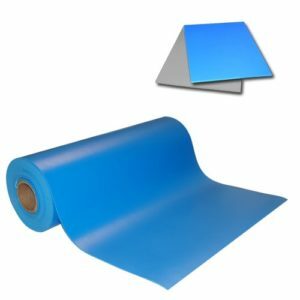 The mats are excellent for your production table because they are incredibly durable resisting scratching and gouging processes. The procedures follow ANSI/ESD STM7.1 for Flooring and ANSI/ESD S4.1 for Table Tops. The Resistance-to-Groundable Point test (used for both methods) uses a resistance meter and 5lb weighted probe on the center of the mat and measures resistance from the probe to the button snap. Requirement is <1×10^9 ohm. 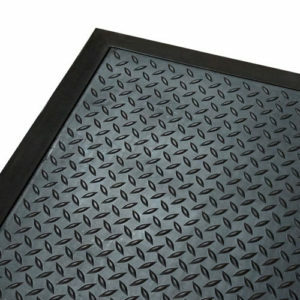 All MT6100 Series mats easily pass this requirement. ANSI/ESD S20.20-2014 requires showing test results for a walking voltage test to qualify flooring materials. The test requires walking on a sample of the flooring material using a specific pattern. The voltage on a person is recorded and analyzed to determine the average of the five (5) highest peaks observed. To qualify to an ANSI/ESD S20.20 defined program, the average has to be <100 volts using the footwear or shoes specified in the program. The MT6100 series mat passes the requirement for all ESD footwear tested. 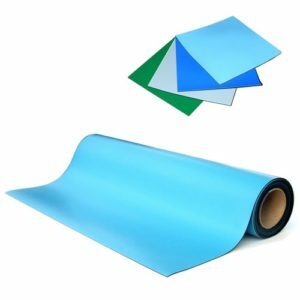 An ESD mat is a very important part of an ESD protected area. 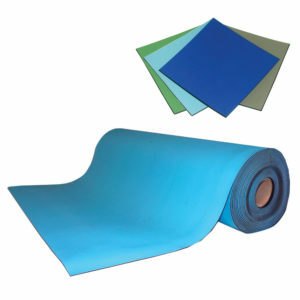 ESD mats are designed to eliminate static on its surface and of objects placed upon it. It does this by having a conductive material embedded within the mat that collects the static and sends it to ground (earth). This is usually accomplished by connecting the mat to ground (typically the center screw of an outlet) with a ground cord. It’s important to discharge at a slow rate, therefore a resistor in the ground cord is recommended. ESD table mats should have an electrical resistance of less than 10^9 ohms. 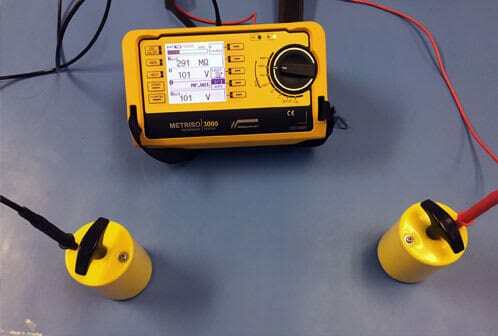 Testing your ESD mat regularly ensures that your workspace is free of damaging electrostatic charges. Test the resistance of the mats with a Surface Resistance Meter.